Splish splash swim school are always looking for qualified, experienced and talented swimming teachers to join our team. If you think you’d like to the join the team! Then give us a call or send us your cv. 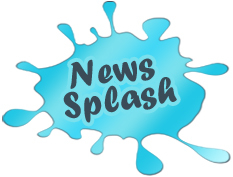 Click the Splash for up to date news! 30 minute sessions, term time only. (all lessons paid in advance termly). (this is one off fee and is charged per family). © Splish Splash Swim School. All rights reserved.